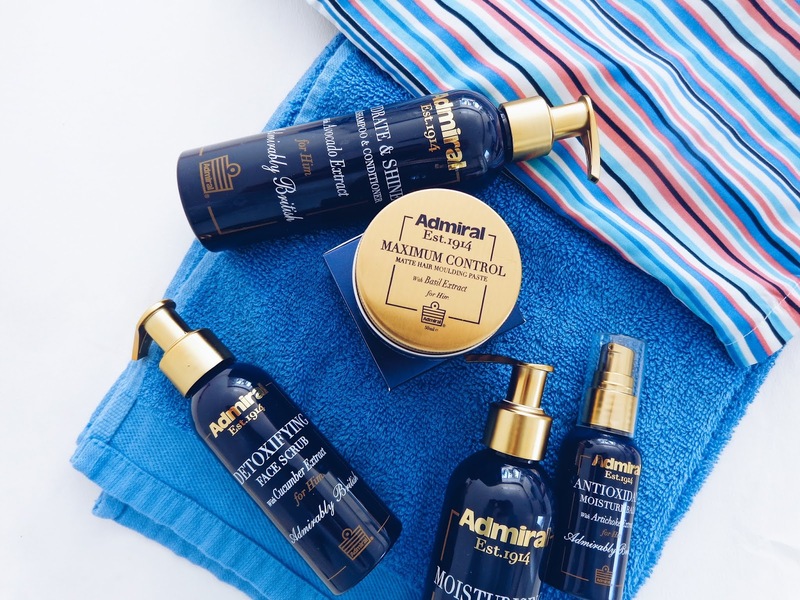 Skincare is vitally important for everyone, regardless of gender. 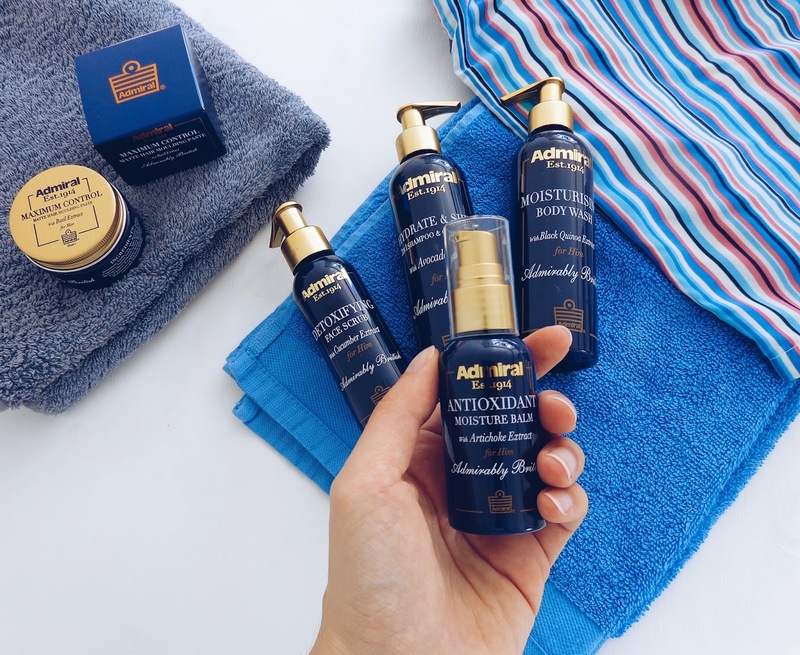 We all know the basics, that keeping your skin nourished with a good diet and cleansed with daily washing, scrubs and face masks is the key to a revitalised and healthy looking complexion. 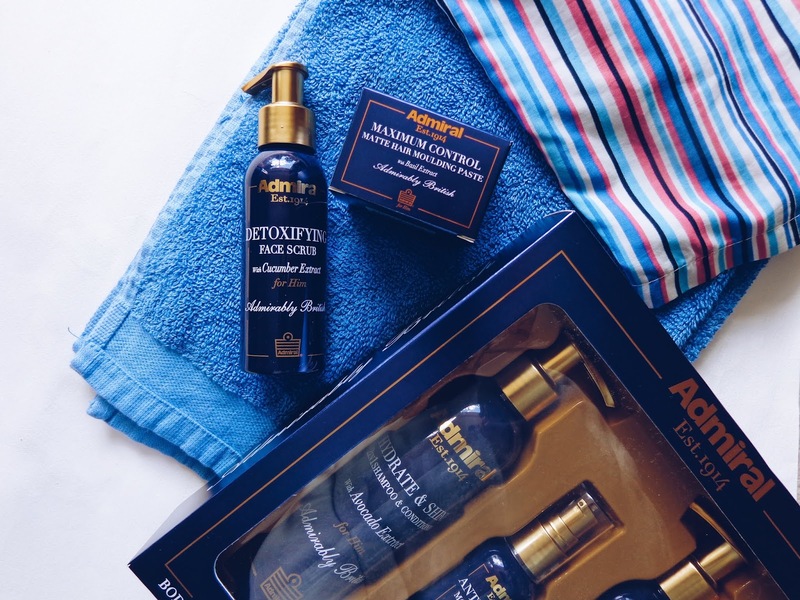 Today I'm sharing a post on skincare for guys which is something a bit different on my blog. 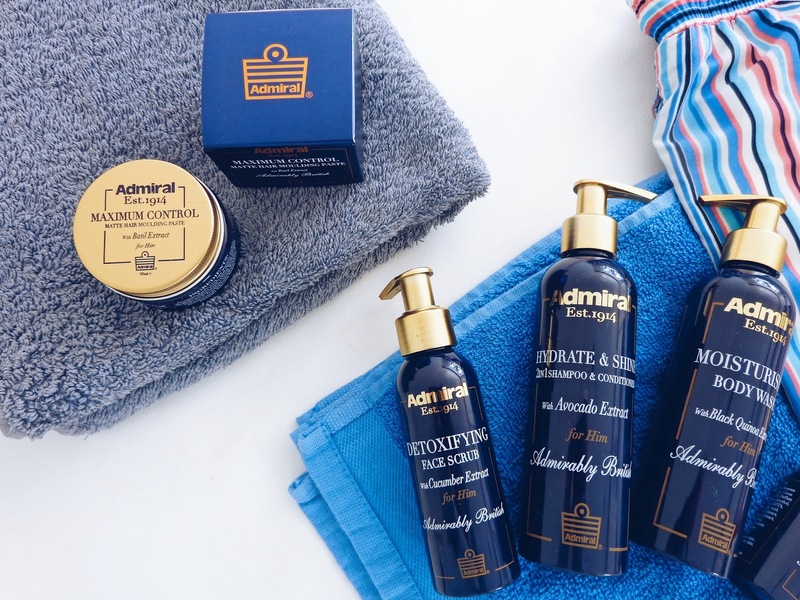 I'm going to be talking about a few key pieces from Admiral's male skincare and haircare collection that I think would make perfect gifts for guys and that are the daily essentials which are ideal for re-vamping a skincare routine which could do with a pick me up as we head into the summer. 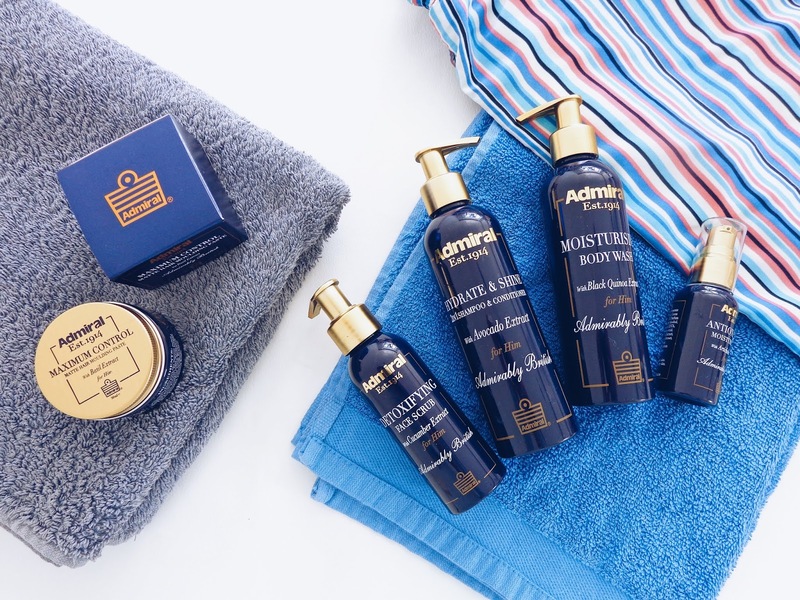 The Daily Essentials Trio gift set comes with a Shampoo and Conditioner with nourishing Avocado Extract, Antioxidant Moisture Balm with Artichoke Extract which has regenerating properties which naturally keeps skin supple and strong and a Body Wash with Black Quinoa, which is a gluten-free seed, renowned for keeping skin youthful, bright and glowing. 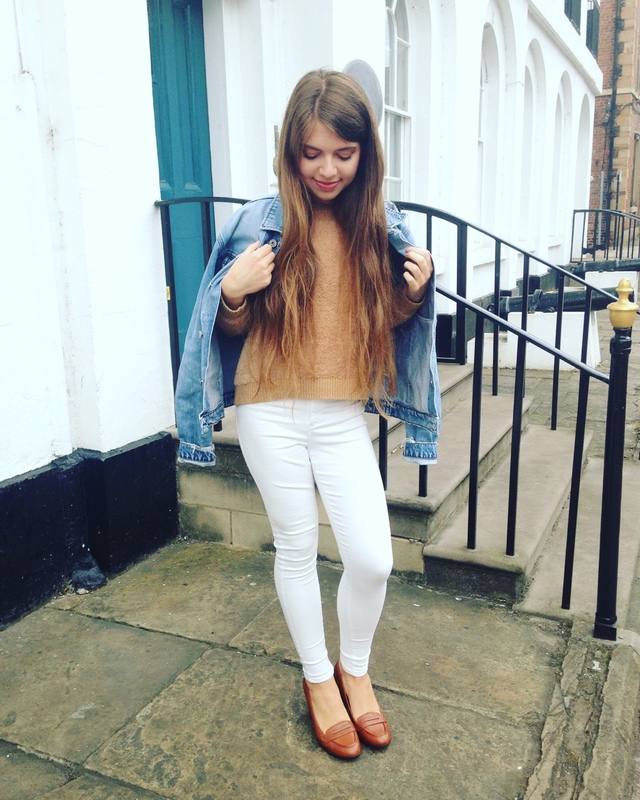 They all have natural essential oils and properties which work harmoniously with skin and hair to keep it feeling soft, hydrated and in great condition. The full range smells really luxurious and expensive too. You can shop the Daily Essentials Trio set online. 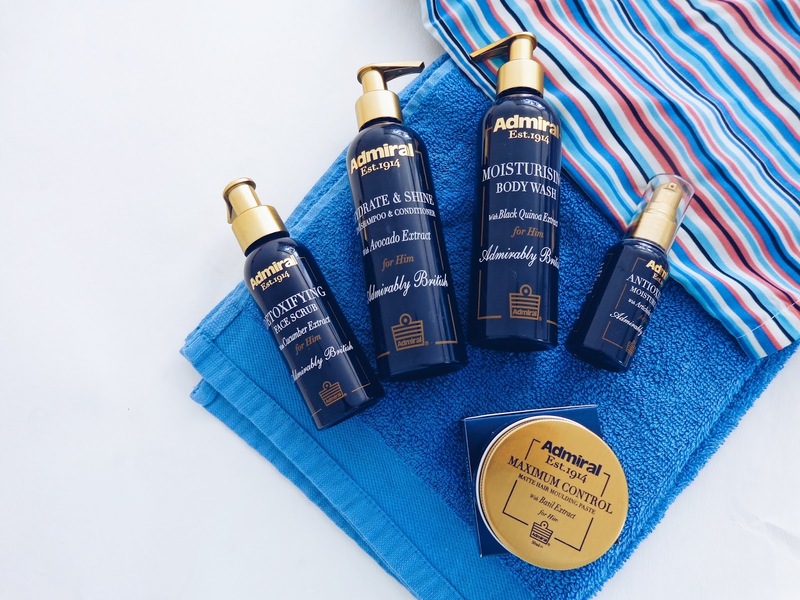 Infused with cooling cucumber extract, the Admiral face scrub is ideal for used twice weekly for optimum cleansing results and a radiant complexion, as it helps to effortlessly buff away toxins and leave the skin in prime condition. 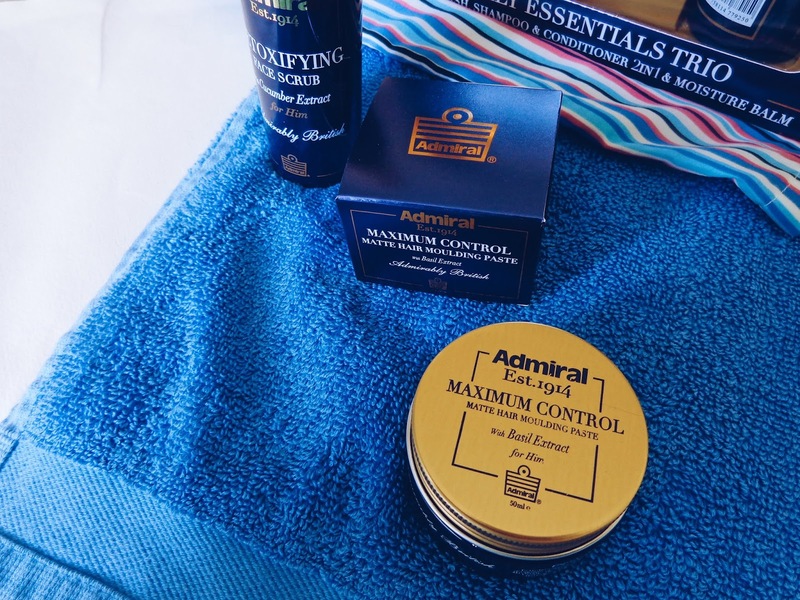 This post contains PR samples from Admiral Male Grooming. All views and opinions remain honest and my own.